Phil Ball here, to give you a preview of an exciting year for Rally enthusiasts. This last week or two has seen some interesting announcements from both the FIA and GRC, as well a TV deal for Rally America. Hit the jump for info on an area of motorsport that is still growing. 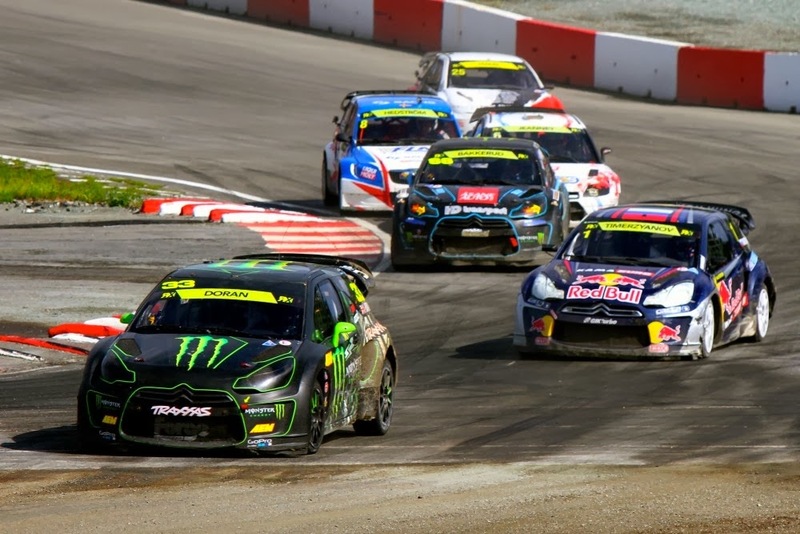 Last year the FIA's premier Rallycross series was the European Rallycross Championship. There were 9 events, all over Europe including one in Britain. Timur Timerzyanov won the overall title and lots of the drivers from GRC took part in some or all of the FIA races. Some drivers like Liam Doran, used different cars - Peugeot for FIA racing and the Mini for GRC racing although the car classes are very similar. Liam Doran leading a pack in the 2013 FIA European RX. Photo courtesy of rxmedia. The FIA has re-classified its top series and it has changed the calendar to become the FIA World Championship. The 2014 calendar now has 12 races on it, with stops in Canada and Argentina, as well as one in Istanbul on the edge of Asia. Rallycross is a growing sport so this will be an important year as teams struggle to fund their program and send cars and drivers all over the world. Ford signed up early funding the Olsbergs MSE team in support of a full time FIA campaign. More recently Peugeot announced its support of Hansen Motorsport. Citroen dominated the 2013 field so it's good to see Their in-house rival taking this opportunity to expand into the new championship. Plenty of other manufacturers are supporting teams including Hyundai, VW, Citroen and Skoda. GRC championship winner Toomas ‘Topi’ Heikkinen has joined the VW team to run their Polo for the FIA season. I wonder if the expanded global FIA calendar will make it harder for top drivers to drive in both FIA and GRC series as in the past. 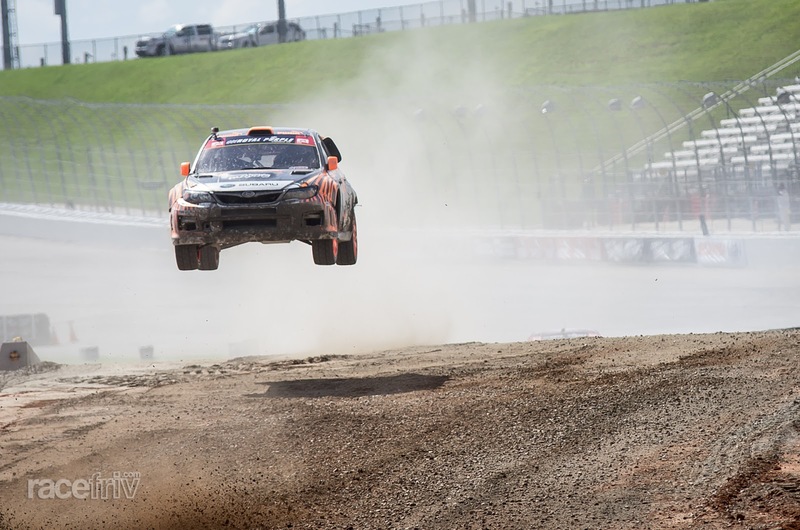 Global Rallycross or GRC is also working to grow its business. Red Bull has become the title sponsor for the fourth full year of Global Rallycross, making these two top series a head to head between energy drink makers (Monster Energy being the title sponsor of the FIA series). Red Bull has put up the purse of $500,000 for the winners of the drivers championship as well as $20,000 per race. That should help motivate teams who will visit 9 venues all over the United States and a tenth event - the first on the calendar in Barbados. Sadly for us at racefriv, Atlanta is not on the calendar this year, which is a real shame as the 2013 race was a real barn burner. The 2013 Atlanta race featured a huge jump on the start/finish straight at Atlanta Motor Speedway. Drivers are also moving around and Tanner Foust is partnering with VW and Andretti Autosport this year after a successful 2nd place season with Ford in 2013. The 2012 Champion will race alongside former F1 driver Scott Speed and start the season in a Polo (similar to the FIA car) while the team plans to switch to a Beetle derived car after June. Seeing a Beetle race in dirt should be fun. Image from Tanners Facebook page. some of the comment trolls are hilarious. Subaru announced that Sverre Isachsen will race for them again in his 3rd year with the Puma Subaru team. He joined Subaru in 2012 with a 3 year FIA European championship winning streak behind him so we know he has the talent to take the fight forward with Subaru. Subaru had some engine improvements in hand late last season that they were confident would improve their standings in 2014, and in the latter half of the season Sverre clinched a string of podium finishes. It would appear that Bucky Lasek, pictured above in Atlanta will also continue with the team in 2014 at least based on the Subaru Rally website. Subaru also announced that Travis Pastrana would also return to the team, slated to race in 6 Rally America events. Travis won the Rally America Championship 4 times for Subaru in the past and he seems excited to return. Subaru says he will also race for them in June during the X games GRC race In Austin TX. The team also states that the new 2015 car should be developed for racing this year, to debut some time later in the season. Vermont Sports car prepares the Subaru vehicles for competition in both GRC and Rally America competition. 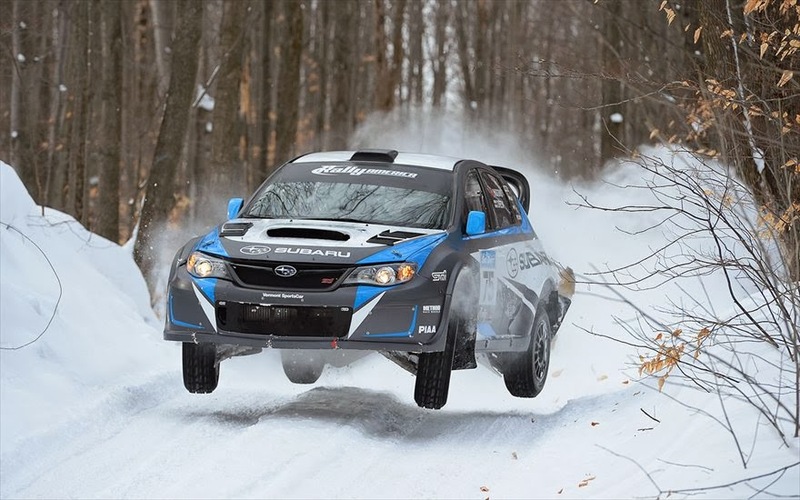 At the time of writing David Higgins has already won round one of the Rally America championship which kicked off with the sno-drift rally in Michigan. Perhaps the bigger news for Rally America though is the TV deal it has formed with NBC sports. The events will air on a delayed schedule, but at least we will get to see more stage rally on TV in the US and the coverage will help all the teams and organizers who continue to grow the sport. That's all for now, stay frivolous!